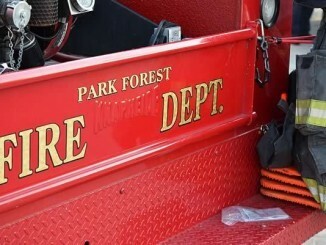 Park Forest, IL-(ENEWSPF)- The Park Forest Fire Department began issuing a weekly report on its Facebook page. eNews Park Forest will share this information with the public as it is posted. This will give the public an idea of how busy the department is, considering there are only seven days in a week. Most of this article is reproduced verbatim from the report, with edits for clarification. This is the most recent report from the department. The total responses listed for February 19-25 are 84 (fire/service = 15, EMS = 69), according to the report. On Sunday, February 19, Ambulance 63, car 73 and car 70 responded to a box alarm in the 22000 block of Butterfield Drive to assist the Richton Park Fire Department with an elevated carbon monoxide situation inside an apartment building. The building was searched and ventilated over a two hour period with multiple patients being transported to a variety of hospitals under mass casualty protocols, according to the report. 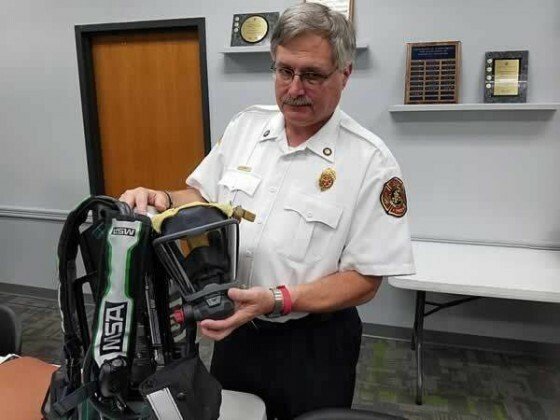 After weeks of training and planning, shift members placed the new, grant supplied SCBA (self-contained breathing apparatus) equipment into service this week. This new equipment provides every firefighter access to the latest breathing apparatus that will last the department the next 15 years. The equipment was shown to the Village Board at a September 2016 meeting. 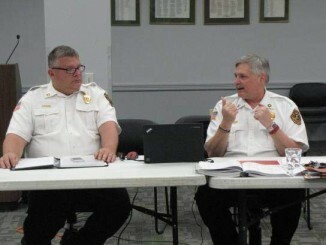 On Wednesday, February 22, the fire chief attended the Village’s neighborhood meeting for East Lincolnwood residents. Attendees were provided information on a variety of Village activities and had the opportunity to ask questions of the Village representatives in attendance. On Saturday, February 25, administrative staff attended the 6-month budget briefing with the Village Board. Information on revenue and expenses at the mid-point in the budget year were discussed along with proposed capital improvements for the upcoming budget as well as the Board’s 5-year goal and objective plan. 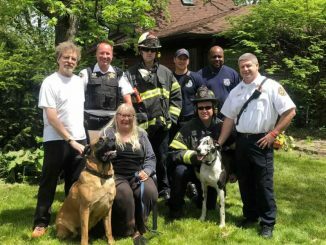 Fire Inspection/Education Activities: Annual inspections for group homes began this week with fire prevention bureau members completed 8 inspections. POC (paid on call) officers participated in training on installed fire systems in Village businesses.